Randy Marshall is a native of Richmond, Virginia. He is co-editor, with Andrew Miller and John Venable, of The Gazer Within, a posthumous collection of essays by Larry Levis, published in 2001 as part of the University of Michigan Press’s Poets on Poetry Series. 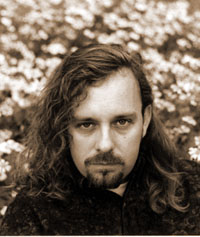 Marshall received his MFA in poetry from Virginia Commonwealth University in 1997.